Gaming bolide. 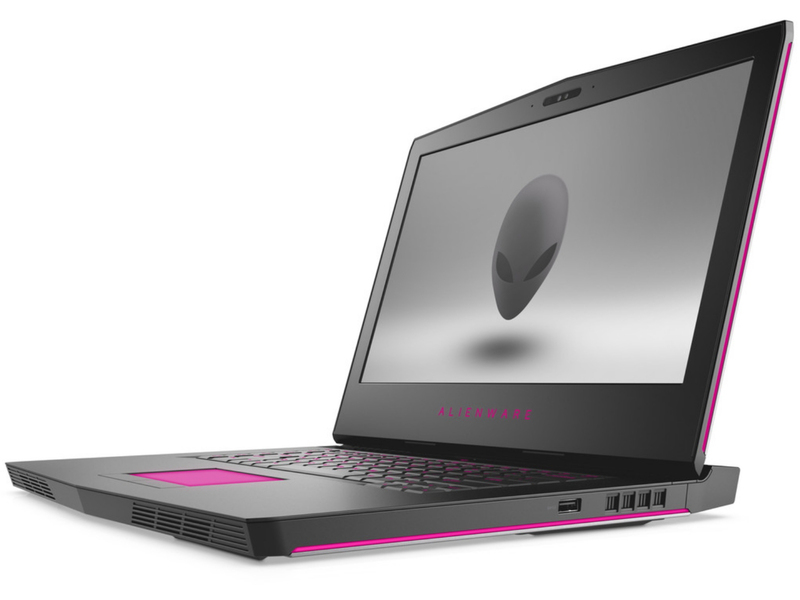 The Alienware 15 R3 has a matte 60-Hz IPS display that supports Nvidia's G-Sync Technology. The potent hardware displays all current games smoothly. 94% Alienware 15 R3 Max-Q das perfekte Gaming Notebook! Positive: Powerful hardware; high gaming performance. Negative: Poor display; high price. NVIDIA GeForce GTX 1080 Max-Q: Efficient high end graphics card with 8 GB GDDR5X-VRAM based on the Pascal GP104 chip. Equipped with 2560 shader units and offers about 10-15% lower performance than a regular GTX 1080 due to lower clocks, but the power consumption is much lower in return. These graphics cards are able to play the latest and most demanding games in high resolutions and full detail settings with enabled Anti-Aliasing. » Further information can be found in our Comparison of Mobile Graphics Cards and the corresponding Benchmark List. 91.2%: There do not exist many models, which are rated better. The most ratings get ratings, which are a bit worse.